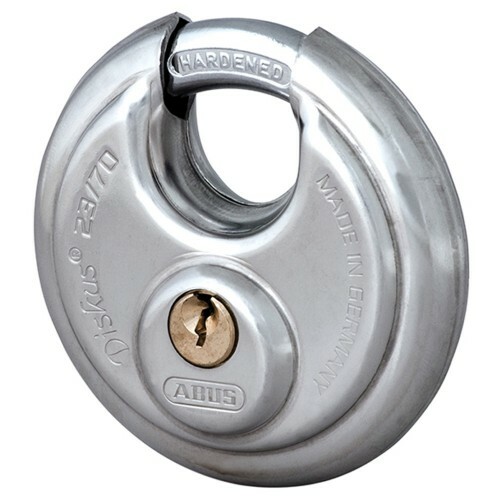 Economy version of the distinctive ABUS 26/70 series Diskus padlock, incorporating the original Diskus design with a competitive price. Where to use it: - Medium security requirement in external conditions. The shackle is manufactured from case hardened steel and is protected in a stainless steel body.